Nice recipe with mushroom, looks very delicious. 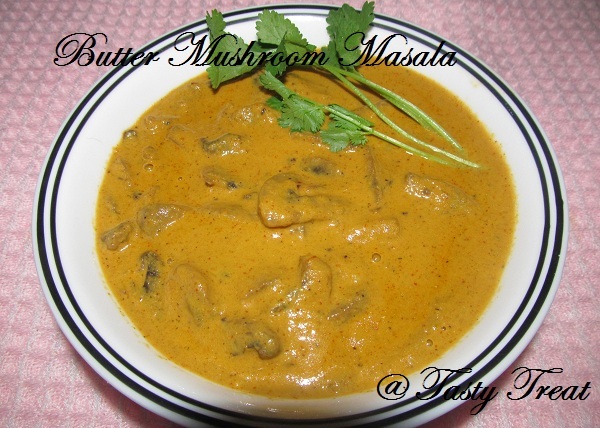 Thanx Ayeesha,for your instant n valued comments..
Love mushroom cooked in a creamy gravy like this ~ one tempting platter you have there! mango rice and mushroom masala sounds so yumm..
lovely curry, looks so rich and creamy..mango rice sounds interesting, both makes a wonderful combo..
What a delicious recipe!! Have bookmarked it to try it out. 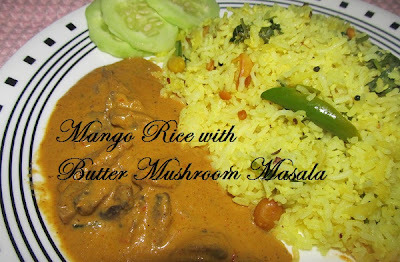 Ohhh I love mushroom masala. I have to try this recipe. I bookmarked it. Thank you for sharing. Great blog. One of my favorites while eating outside. I love them with tandoori roti. 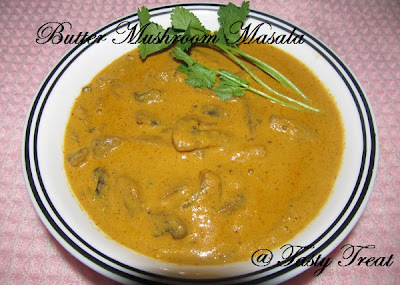 I have made mushroom pepper fry at home, but never made butter masala, will try this.